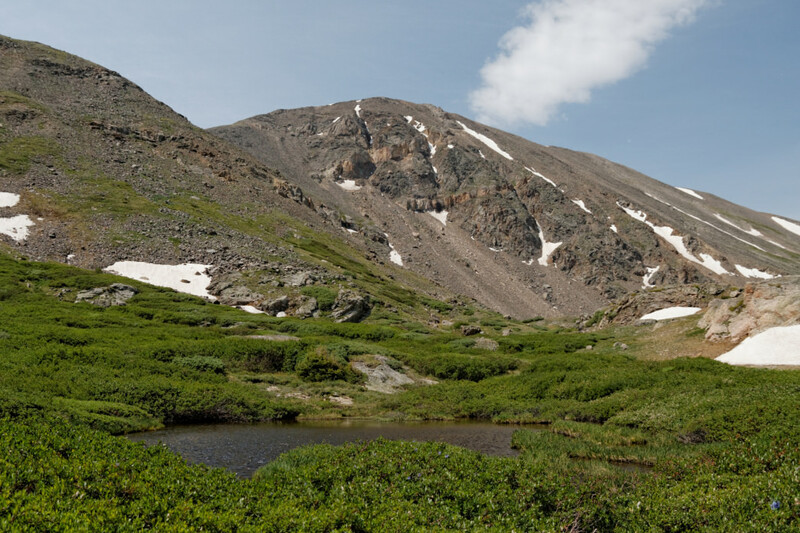 Colorado has more than 600 13ers, which are ripe for hiking in the summer. The season for hiking Colorado’s high peaks is finally here, and it’s short, so make the best of it while you can. Colorado’s 14ers (a list of 53) attract much of the glory among misty-eyed peak baggers. But the 14ers' fame often translates into a lot of traffic on the trail. 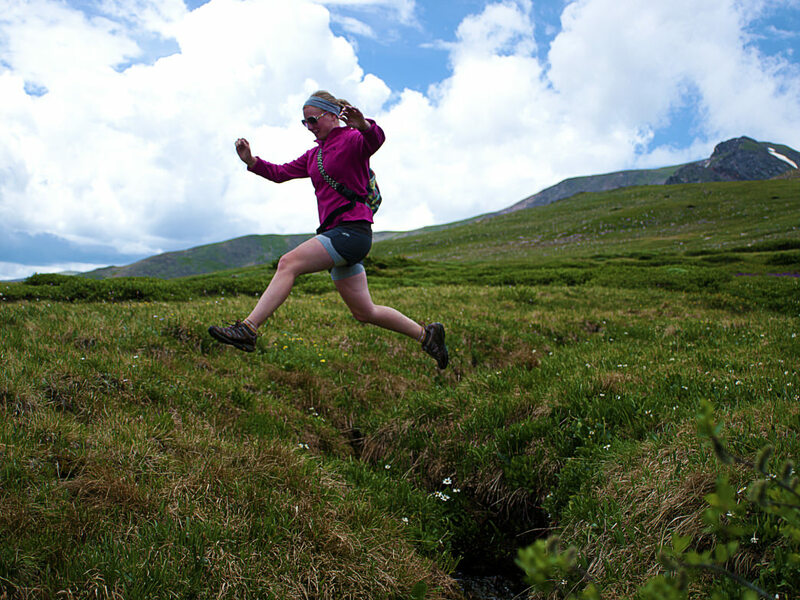 To avoid feeling like you’re part of a wildebeest migration, how about turning your sights to a 13er instead? Colorado has 637 of them, some just a hair below 14,000 feet. Take a walk on the quieter side by exploring one of these Colorado 13ers, all awesome peaks with their own unique flavor. Mount Audubon in Indian Peaks Wilderness (west of Ward) is a good place to start if you’ve never climbed a high peak. Admittedly, it’s one of the busier 13ers since it’s within easy reach of Boulder. (If you already have some alpine experience, skip to the next peak.) For first-timers, the beauty of Audubon is that it’s an easy-to-follow route, starting from Mitchell Creek Trailhead just past Brainard Lake . The trail quickly climbs up switchbacks to the treeline, where wind-twisted trees give a hint at what’s to come. Make sure you’re prepared for a potentially biting breeze. Follow the cairns to the summit and stop for a spell in one of the rocky shelters on top, taking in views of the rugged Indian Peaks. To get a parking spot, plan on arriving at the lot no later than 8 am, and earlier if possible. You’ll need to buy a $10 parking pass from the self-service station if you beat the greeters to work. It’s about a 4-mile hike from trailhead to top, climbing 2,715 feet. James Peak is another fairly easy climb as far as 13ers go and very accessible to Denver. You can approach it from several directions, but the most notable is via St. Marys Glacier, accessed by turning off I-70 onto Fall River Road about 2.5 miles west of Idaho Springs. (Yes, you do have to pay the $5 fee to park—it’s private property.) The route starts climbing an old rocky road that tops out at St. Marys Lake, a stunning pocket of water nestled at the base of the snowfield. From here, climb up the snow, hugging the right to stay away from the steeps. As you huff and puff, consider how fun it will be to glissade on the way down. Once past the glacier, you’ll need to tap into your Spidey sense since the trail is somewhat dim. Head west across the flats, crossing a faint four-wheel-drive road (sort of shocker out here in the sticks). Pay attention to your route so you don’t get lost on the way down (use the big rock outcropping as a marker). For the final approach, beeline for the summit, or find the trail that ascends some switchbacks—which might make it easier on the tundra (and your knees). In total, you’ll hoof it about 3.5 miles and 3,000 feet to the peak, where you can see Grays and Torreys in the distance. Square Top is just a bit west and 271 feet shy of 14,065-foot Mount Bierstadt, yet a world apart. 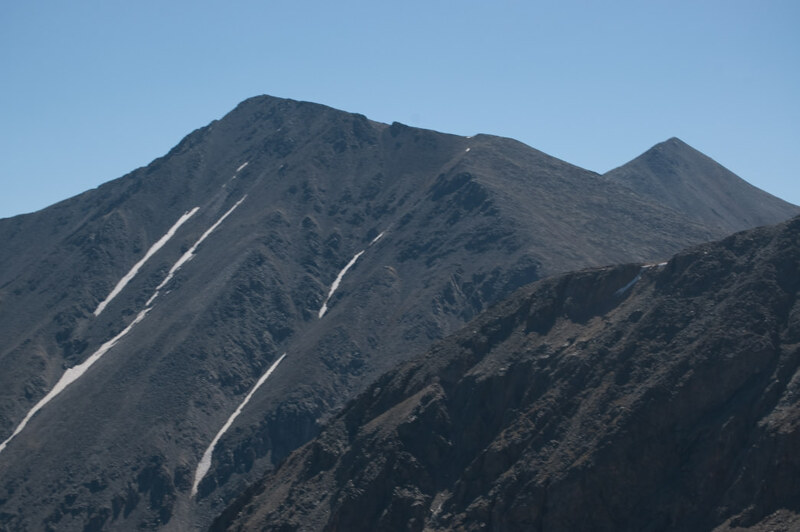 Head to this 13er to have a peak to yourself, with amazing views of Bierstadt, Grays, Torreys, and a rainbow of summits as far as the eye can see. You can follow a trail as far as Square Top Lakes, then you’re on your own. 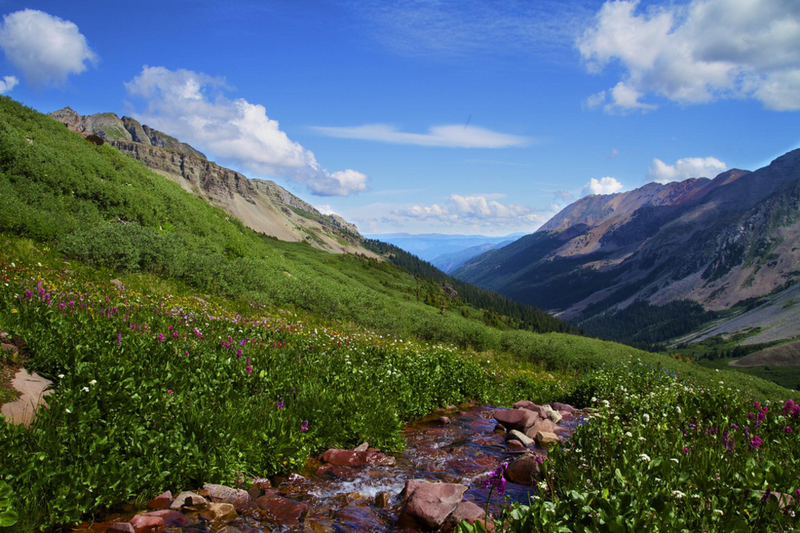 Be prepared to scramble up a steep slope of alpine tundra to reach the summit, keeping an eye out for elk, pine marten, mountain goats, and bighorn sheep. From the hut, the 2.5-mile journey up Homestake Peak climbs 1,839 feet and requires some spirited bushwhacking since there’s no trail. Start walking west through the meadow in front of the hut, aiming for below the rock outcropping. After about 1/3 mile, you’ll reach the top of the meadow, which leads to a series of open fields and meadows and eventually an open section through the trees. Follow this to the beginning of the east ridge, where you’ll see some krummholz (stunted) trees. From here, make your way through the tundra grasses, which eventually transition into a very rocky talus slope (you might have to use your hands). Once up top, take in the 360-degree views that stretch to Mount Elbert, Mount Massive, and Mount of the Holy Cross. The trailhead is off Highway 24 about 2 miles before the summit of Tennessee Pass. You can park at the turnoff at the Crane Park Trailhead, or keep driving about a mile up Slide Lake Road and park in one of the pullouts near the old Forest Service cabin. Hike from here up the road to the hut. Don’t try driving any farther unless you have a truck and mad four-wheel-driving skills. If you’d prefer someone show you the way, call Paragon Guides, whose talented staff can even cart your gear up to the hut with llamas. And check out our tips for planning a hut trip. Legend has it that this peak off Independence Pass between Aspen and Leadville was once considered a 14er before getting demoted. At 13,988 feet, it’s the closest you can get to 14,000 feet, making this Colorado’s 54th-highest peak. It’s well worth the trip for the stunning views of the Collegiate and Sawatch ranges, not to mention a medley of wildflowers and a lake pit stop along the way. Set out early and be off the summit by noon at the latest. Study your route beforehand and bring a map and compass. Some summits have trails to the top, others require more advanced route finding. Bring plenty of food and water, and a blister kit. No matter what the forecast says, pack enough warm and waterproof clothes to keep you comfortable in bad weather. A shiny bright blue sky can turn dark and nasty very quickly around these parts. Turn back before lightning strikes. Don’t forget sunscreen, and remember to apply it regularly—skin burns more quickly at altitude.